Experts and sources in the German government say the raids threaten relations between Moscow and Berlin. Foto: AFP/ East News. Berlin angry over raids on two German foundations; Moscow rejects accusations that it is violating international obligations. 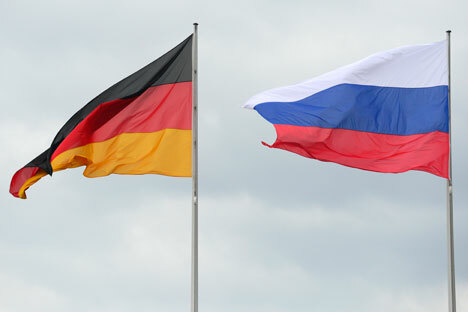 Inspections of two Russia-based German foundations by prosecutors as part of a blanket audit of non-governmental organisations launched in February have triggered a strong reaction from the German government and the EU. Experts and sources in the German government say the raids threaten relations between Moscow and Berlin, while the subject of the inspections is certain to be brought up at the April 7 meeting between Russian President Vladimir Putin and German Chancellor Angela Merkel. As part of a massive inspection of NGOs, Russian prosecutors paid visits to two German entities at once. In Moscow, they expressed interest in the activities of the Friedrich-Ebert-Stiftung, a foundation supported by Germany’s Social-Democratic Party, and in St Petersburg, they raided a branch office of the Konrad-Adenauer-Stiftung, a foundation supported by the Christian-Democratic Union. The inspectors were interested in the constituent documents and the activity reports of both organisations. Even so, prosecutors in St Petersburg went beyond studying the constituent documents and financials by confiscating the Konrad-Adenauer-Stiftung’s computers to check them for illegal software. Prosecutors also inspected the Russian branches of the French public organisation Alliance Francaise (AF) in Samara, Rostov-on-Don, Perm, Yekaterinburg and Vladivostok. “Prosecutors requested our financial documents to make sure that the money allocated by the embassy is used in compliance with the Charter of the Alliance, which doesn’t engage in political activity,” Le Figaro quoted AF Samara Director Eric Antoine as saying. The Prosecutor General’s Office initiated massive NGO inspections at the end of February. As of March 27, 90 NGOs had been reportedly inspected in 24 Russian regions. Others believe the number to be much higher. According to Pavel Chikov, head of the Agora organisation, which monitors prosecutors’ inspections, at least 2,000 NGOs might have been raided. Established international human-rights organisations – Amnesty International and the Norwegian Helsinki Committee, as well as European officials have already condemned the mass inspections. The EU High Representative for Foreign Affairs Catherine Ashton stated that “the inspections and searches launched against the Russian NGO community … are worrisome”. Germany, one of the EU’s countries most friendly towards Russia, also reacted strongly to the actions by the Russian law enforcement agencies. The envoy at Russia’s embassy in Berlin, Oleg Krasnitsky, was called to the German Foreign Ministry for talks. According to Der Spiegel, the diplomat was advised of “a concern over unfriendly actions towards many German non-governmental organisations, including German foundations”. German Foreign Minister Guido Westerwelle warned the Russian diplomat that “hindering the activities of the foundations could cause long-term harm to bilateral relations”. The new irritant has appeared in bilateral relations at quite a sensitive moment for both Moscow and Berlin, as Russian President Vladimir Putin is scheduled to arrive in Germany on an official visit on April 7. Managers of Russian branches of the German foundations are in no doubt that Chancellor Angela Merkel will raise the subject of NGO inspections with her Russian colleague. Influential German politicians are also not ruling out the possibility that the reaction will not be limited to mere criticism. “I, for one, believe that in this situation, it’s very difficult to negotiate liberalisation of the visa regime for Russian service passport holders,” Chairman of the Bundestag’s Foreign Affairs Committee Ruprecht Polenz told Deutsche Welle. Germany – a key country that had for almost two years resisted introduction of visa-free travel for service passport holders as part of an agreement to liberalise visa formalities for a number of categories of travellers – reversed its position at the beginning of March. “We reject unfounded accusations that Russia is violating its international obligations in the sphere of human rights. Yet we are always ready for substantial, professional and mutually respectful dialogue,” Dolgov said.